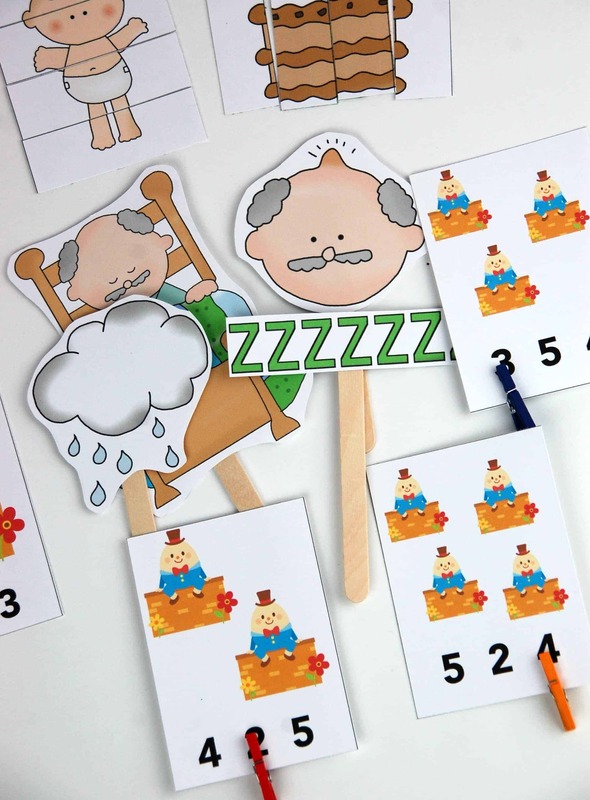 Introduce early literacy and math skills with classic nursery rhymes. Are you looking for a fun, engaging way to introduce early math and literacy skills to your youngest learners? 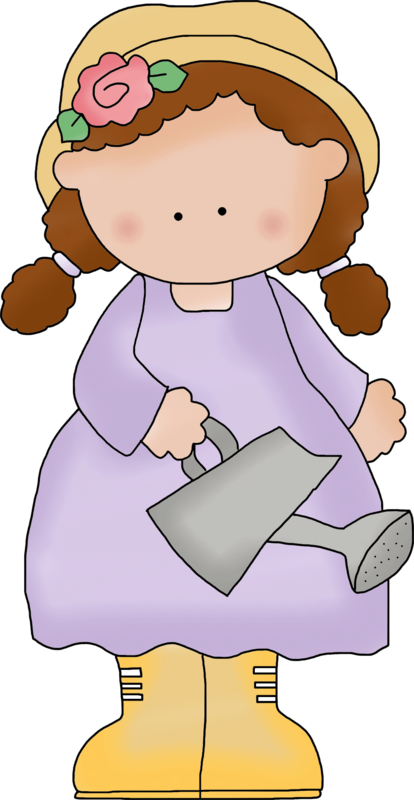 Teaching with Nursery Rhymes is the perfect, low-prep teaching tool for tots and preschoolers. 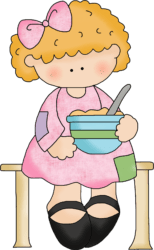 Teaching with Nursery Rhymes features ten classic rhymes and focuses on many different skills that are the basic building blocks of early childhood education. "I used it last year with my 4 kids age 2-7, it was a fun way to start our learning together, and gave the little ones a chance to "do school" with the big kids. One of my favorite parts of our school last year!" Inside, you'll find 100 pages of activities perfect for tots and young preschoolers. This book will help you introduce early literacy and math skills in a fun and engaging way featuring ten popular nursery rhymes. With a mixture of worksheets and hands-on activities, there's something for every learner in this pack. This curriculum pack will save you time and energy, because it is ​low-prep. No need for special supplies. Tots and preschoolers will practice writing, counting, and ordering numbers 1-20. Young learners will also focus on rhymes, colors, sequencing, visual discrimination, and more! 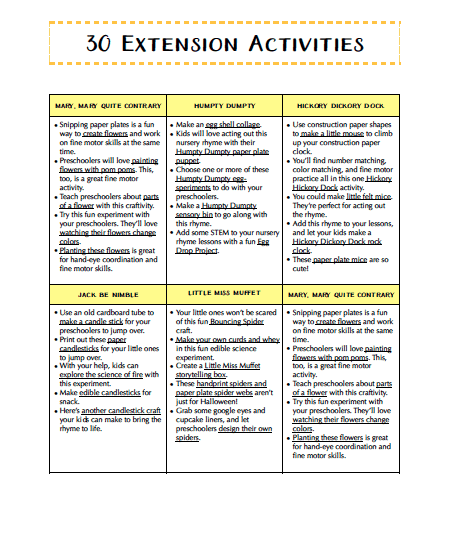 Sign up below to receive a free list of 30 activities that will help you extend the learning! 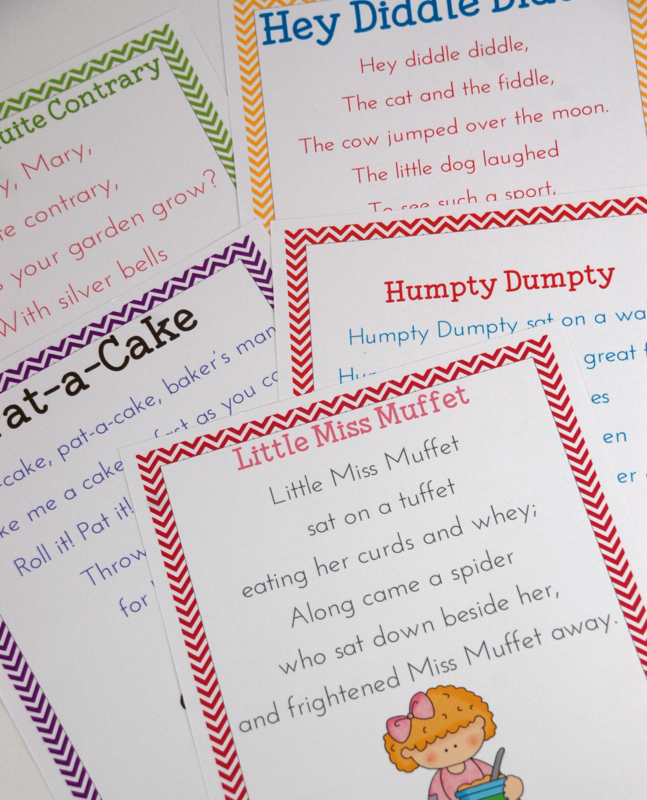 With hands-on activities, crafts, and more, this resource is just what you need to round out your nursery rhyme lessons!